We offer fast and friendly roadside assistance in which we bring you gas, change your tire, and more. Stradford Garage & Towing is a full-service auto service center that offers a wide range of affordable services to the Fort Lawn, SC area. Our customers know that they can rely on us for quality and honest service and we take great pride in our reputation. Our technicians have the experience that can only be obtained through years of experience within the industry, and we know how to get the job done. We service all makes and models and there is no job too big or small as we do it all. We are a family-owned business that has been around for over 25 years. We are fully licensed and insured and do whatever we can to ensure that your experience with us is a positive one. Our repair services include charging problems, brakes, timing belts, coolant system issues, and much more. There is little that we cannot repair as we have the tools and knowledge to troubleshoot even the most challenging problem. Not only do we repair vehicles, but we also tow them. 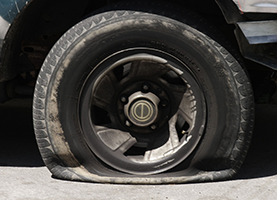 We offer 24-hour emergency services and roadside services in which we provide gas, repair flat tires, and more. If your vehicle needs a bit more than roadside assistance, we offer affordable local and long distance towing. Needless to say, when you are stranded on the roadside, we can take care of all of your needs! This is just one of the many reasons our customers keep coming back to us time and time again. 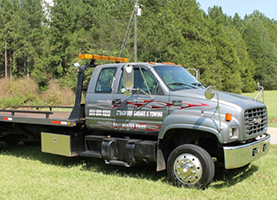 Contact Stradford Garage & Towing in Fort Lawn, SC today for all of your towing and automotive repair needs. If you are stuck on the side of the road remember to call for emergency towing service (803) 289-8006. We will come to your location as soon as possible and tow you to your requested destination. If your vehicle needs to be repaired, we can tow your vehicle directly to our garage! Better yet, you will even receive a discount on your towing bill when we repair your vehicle!